Tired of your home being cluttered? Selling your home or moving? On your way to almost anywhere! the main thoroughfares to and from Lacey. Great for service members stationed at JBLM. 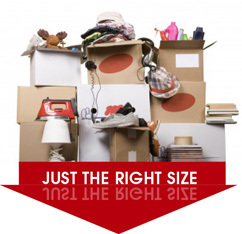 We rent storage spaces where you can safely store household items that you need, but are not immediately using. to answer your questions or concerns. At Stowaway your belongings will be clean, safe, and secure. have direct drive-up access. We have carts and hand trucks for you to use too! Call Today! Move in Today! © 2011 Copyright Debi Bodett. All Rights Reserved.